Xiaomi is finally rolling out the most anticipated Android 9.0 Pie Beta firmware update for our beloved Android One series devices. The Xiaomi Mi A2, which is a popular Android One edition device, is now receiving the Beta update based on Android 9.0. This comes to the users who have already registered into the Beta testing program; announced by the manufacturer a couple of months ago. So if you haven’t already registered, don’t worry, we have got you covered. 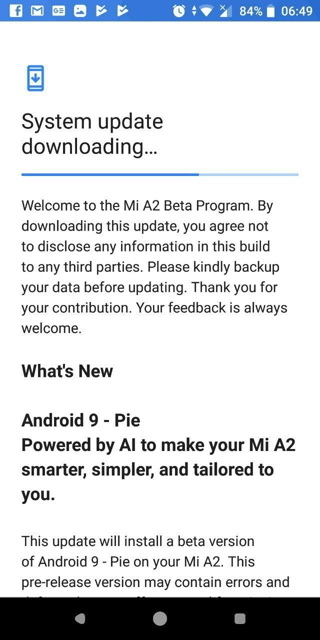 Here we have the Mi A2 Android 9.0 Pie (leaked) OTA update link and installation guide from the Beta program. As for what we know about the Beta, and the screenshots listed below, the OTA comes around 1 GB in a size. 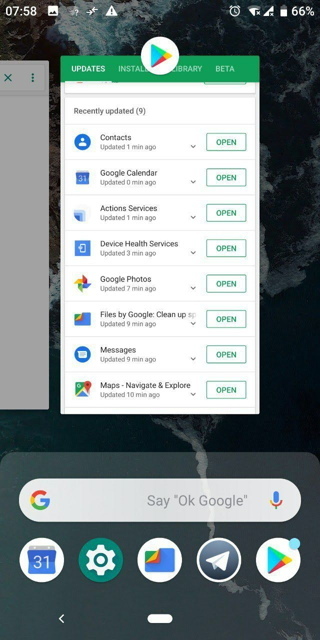 It also features the latest November 5, 2018 Security Patch based on Android version 9 Pie. The update also reveals a new launcher similar to the latest Pixel Launcher. 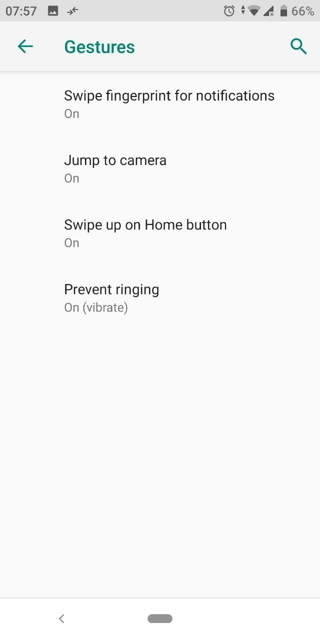 We also have the new navigation gestures introduced by Google in the new Android Pie builds with home pill and overview mode. Other goodies include new settings menu design, advanced notification options, night mode, Adaptive Battery, Adaptive Brightness, App Actions, and all the rest. The new update may also feature support for the new camera 2 API. 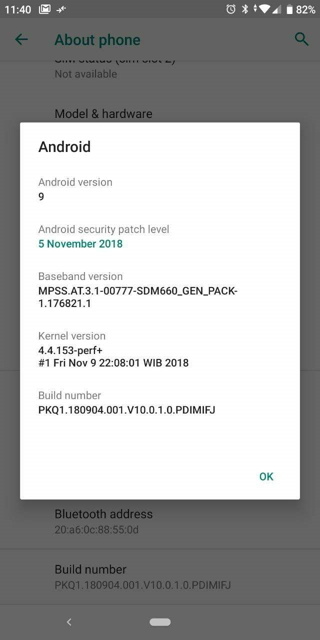 Thanks to Frds Shh (in source), we now have the Android 9.0 Pie Beta update leaked for all of us. We have also listed the direct download links below along with installation procedure. The Pie Beta update for Mi A2 comes with firmware build number PKQ1.180904.001.V10.0.1.0.PDIMIFJ for the device codenamed jasmine. The OTA link has been listed below. However, you will need to flash it using the Fastboot methods. Note: If you could wait for the official stable version, it will soon roll out as soon as next month. If you can’t wait and would like to try it right now, then follow the instructions below at your own risk. Download full firmware file from below and flash it using Fastboot mode (or download mode). You may also try it using a safer method of recovery mode or ADB sideload for OTA zip. If that doesn’t work, the following will work. How to Install Android 9.0 Pie onto Xiaomi Mi A2? Ensure ADB and Fastboot environment is setup on PC. Connect device to PC in Fastboot mode.